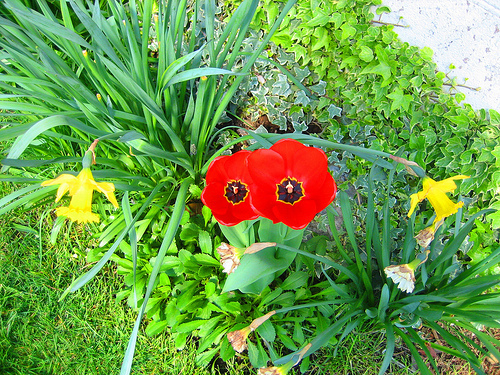 There are a number of easy ways to create a garden that’s green in every sense of the word. Make the following changes to create a more wildlife-friendly, eco-conscious garden. Growing food is fun and rewarding, and involving children in gardening is a great way to get them to eat their vegetables because kids are far more likely to eat produce they’ve had a hand in growing. If you’re just starting out, there are plenty of easy-to-grow vegetable and fruit plants. Tomatoes, strawberries, sunflowers, peas, beans, and lettuce tend to be quite low-maintenance. Lawns of neatly mowed grass waste a lot of water and don’t provide shelter, nesting sites, or food for most creatures. Replace some or all of your lawn with growing produce, flowers, shrubs, and trees. Adding wildlife-friendly features such as wood (stumps, driftwood, etc. ), rock piles or other stone arrangements, and water and food sources is also beneficial. Grow a diverse variety of native flowers, trees, and shrubs to provide varied habitats and food. Choose flowers that bloom at different times to provide food for butterflies and bees from early spring through late fall. Leave seedpods on perennials throughout the winter to feed the birds. Add a water feature, such as a birdbath or pond. Worms will do a lot of your gardening work for you by aerating the soil and improving it with nitrogen-rich worm castings. If you don’t have any worms in your soil, you can purchase them from certain garden centers, bait shops, and mail-order companies. Worms love organic material, so using compost and natural mulches encourages them to stick around. 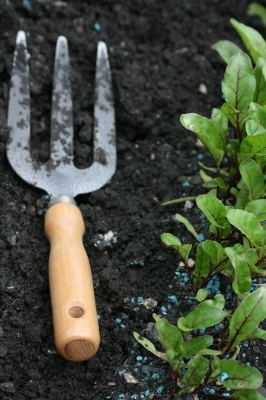 Avoid adding any chemicals to your soil that might kill your worms. Battery cage farming is extremely cruel to chickens, and studies have shown that the eggs from caged chickens are less nutritious than those laid by free-range chickens. If your city’s bylaws allow it, consider keeping some chickens for fresh, nutrient-rich eggs and natural, free fertilizer production. To mulch, spread leaves, lawn clippings, shredded bark, straw, wood chips, or sawdust on top of the soil to a thickness of approximately 2-3 inches. It’s also beneficial to group plants based on moisture needs in the garden so that only small areas will need to be watered more heavily. Maintaining one or more rain barrels helps to conserve water as well. Composting is a great way to turn household garbage into an excellent soil enhancer. It not only reduces the amount of material going into landfills (and the environmental impacts of transporting that material), but also returns organic matter to the earth, where it supports the growth of abundant vegetables and flowers. As for whether or not you should compost pet waste, most sources say “no” due to the risk of spreading zoonotic diseases, though a few say that it’s alright to do so as long as you don’t use the finished compost on or near food crops. The trick to composting is to add alternating layers of brown material (dry leaves, straw, sawdust, cardboard, etc.) and green materials (vegetable waste, fresh-cut grass, etc.) and turn, tumble, or stir the compost at least once a week. Vermicomposting (use of a small enclosed container with worms) is a good solution for those with limited space. Bees are endangered, which in turn endangers a significant proportion of the world’s food supply. You can help by becoming a beekeeper with honeybee hives if you have the time and energy and your city’s bylaws allow it. If you don’t have the resources or desire to be a beekeeper, there are other ways to help, such as putting a couple of beehouses in your yard for solitary bees such as Mason bees, or bees that live in small groups such as bumblebees. Other than a yearly clean-out, the houses require no maintenance and having them onsite increases the likelihood that plenty of bees will find their way into your yard, which will enhance your produce yield and the number of beautiful flowers that bloom in your garden. There are a many flowering plants that are particularly attractive to bees. Visit the Bee Plants page for a list with photos. 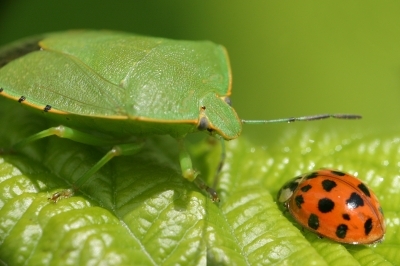 Many insects are great additions to the garden because they provide natural pest control. For example, ladybugs are voracious consumers of aphids (for a full list of ladybug-attracting plants with photos, visit the Ladybug Plants page). Ladybugs can be purchased from many garden centers. It’s always best to control pests with beneficial insects, natural pesticides, and companion planting whenever possible. See the Natural Pest Control page for homemade nontoxic pesticide recipes, plants that attract beneficial insects, pest-repelling plants, and more. For more gardening articles, visit the main Gardening page.